Start your adventure in Stove House 5. 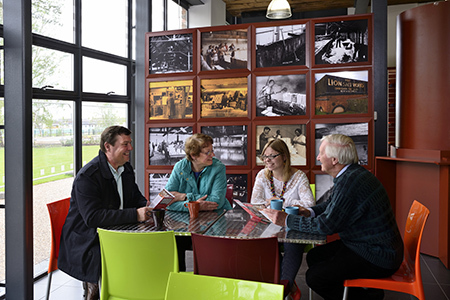 The ground floor houses the café, shop and ticket sales, whilst the top floor has a flexible conference facility available for hire for meetings, conferences and events. 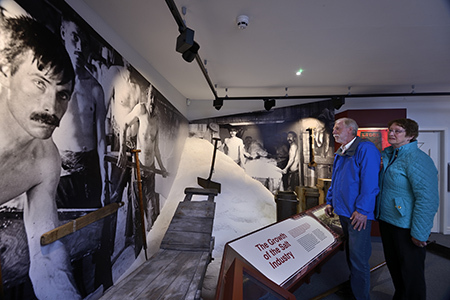 The ground floor includes a timeline of salt production in Cheshire, an introduction to the geology of the site, and tells the story of the Thompson family, who owned the Salt Works. 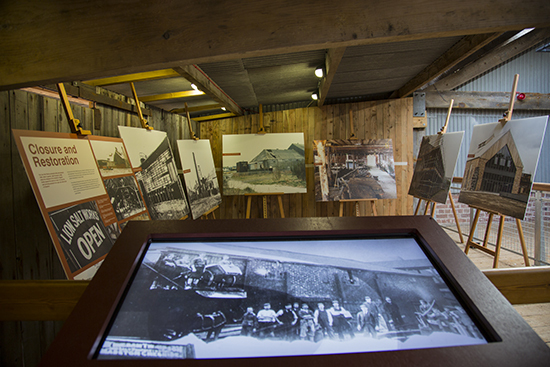 There are also displays on the life of the Salt Works' workers, with recreations of the Managers' Office and Red Lion public house. The top floor of the building is used for formal learning and is not open to the public. 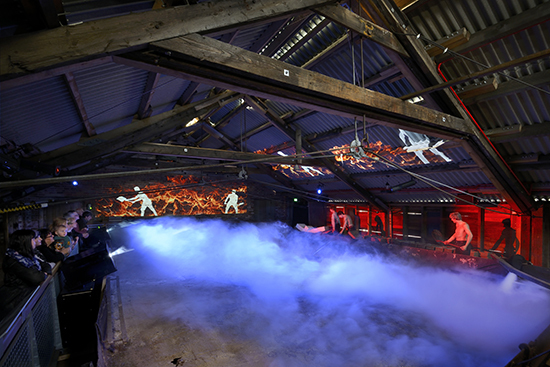 Pan House 3 explains the process of boiling-down (evaporating) brine into salt crystals, told in a theatrical setting using audio and video projection. Stove House 3 tells the story of the production of salt, from its extraction as brine through to it being packaged on site. 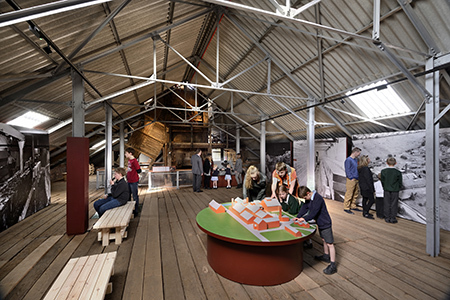 Explore the evolution of the site as an operating salt works, from its early years to its closure in 1986. See the original salt pan, lofting holes and crushing machine. Learn about the science of salt, including salt crystal types and salt corrosion. Stove House 2 tells the history of the changing landscape around the Lion Salt Works. 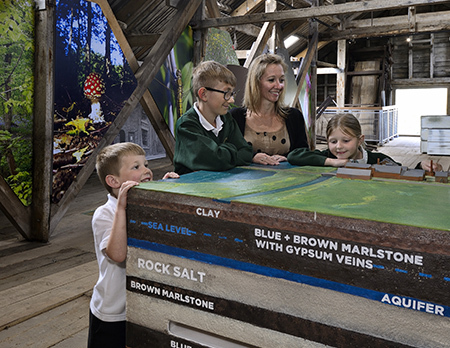 It explores a range of salt related habitats and the different species of wildlife they contain and links to other areas like Marbury Country Park and the canal. Follow the story of the Lion Salt Works restoration from 2011 to 2014 through the voices of the Project Archaeologist, on site contractors and local residents. The Brine Tank tells the story of brine extraction, storage and movement around the site. Pan 5 shows a detailed close up of a salt pan and its construction. The Boiler House tells the story of the changes in power use on the site. The Managers' House tells the story of the managers and workers and the history of timber framed buildings in the Northwich area. The Smithy tells the story of the repair of the buildings, pans and working machinery and looks at ideas of recycling. 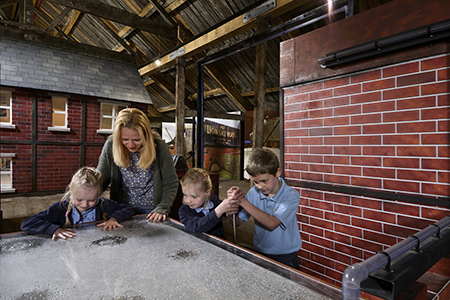 The Play Area is based on elements of the Lion Salt Works buildings and equipment. The Butterfly Garden ( facebook page) links the biodiversity of the site with the wider landscape.